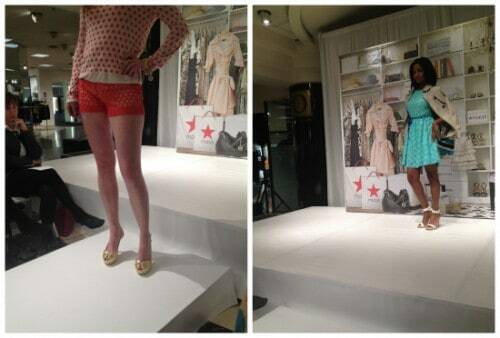 Last week I attended the Macy's 5 Essentials Spring Fashion Show in Minneapolis, Minnesota. It was so much fun, and I learned a bit about Spring 2013 trends and 5 essential items for spring! The adorable Jamie Krell was the host for the event, and she won my heart right away when she said that she loved Minnesota. So do I! Then she proceeded to discuss a few of her favorite designers and what we were going to see during the runway show. 1. Lace :: The Kensie coral lace shorts (paired with this polka-dot sweater) and the Kensie Seafoam lace dress (draped with this gorgeous trench coat) displayed two totally different ways to wear lace! 2. Peplum :: I'm not a huge fan of peplum, but only because it can look like “too much” on a lot of people. I do have to say that I loved the fit and look of this Bar III Cream and Orange peplum dress! 3. Printed Pant :: I really liked the look of this Lanvin Cream Cape shirt with the Philosophy Cream and Blue Striped Pants. 4. Dresses :: The dresses featured in this show were kind of all over the place. There were heavy and light styles, printed and solids. My favorite was definitely this Marc by Marc Jacobs Bowery Shift. 5. The Pullover :: The Pullover was probably my least favorite look out of everything featured. No matter how it was styled, I couldn't help but think that nothing could make it look like anything other than the sweatshirt or sweater that it was! 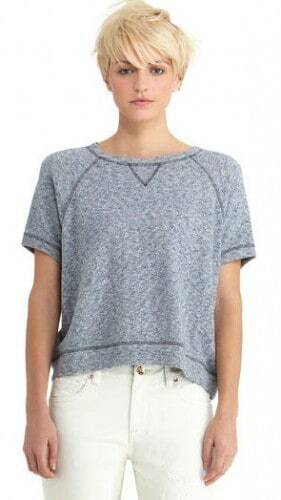 Regardless, I like the softness and flexibility of this Rachel Roy Grey Short Sleeve Sweatshirt. After the show the attendees were encouraged to attend a “Bun Bar” to learn how to twist hair into the popular sock bun. 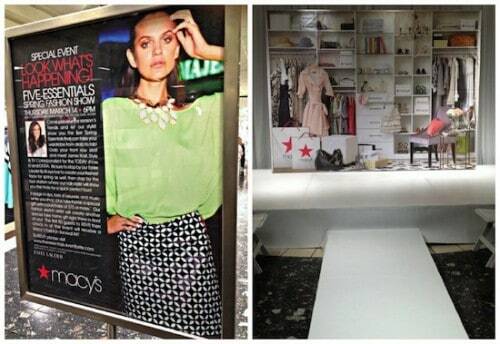 There was also a Red Lip station and a Smoky Eye station to learn how to create those trendy looks! I am a member of the Everywhere Society and Everywhere provided me with compensation for this post about Macy's. However, all thoughts and opinions expressed herein are my own.